Drop off and Pick up: Drop child off for rehearsals, parents/guardians are asked to wait outside of the rehearsal (please do not sit in during rehearsal.) There is a library located inside the church on the 2nd floor. Parents/Guardians are welcome to use the library during rehearsal time. There is internet passcode is Pilgrim1924! ​Pick Up-Please wait in hallway (do not come inside social hall) and wait for your child’s name to be called. ​Schedule-The schedule for the following week will be posted no later than Friday. Please go to the "Calendar" tab under "Info for Cast and Crew member for Once Upon a Mattress." In order to see who is called on the calendar in full view, you may need to download the app, google calendar. Otherwise, you will need to view the schedule from your laptop. 3. Parent Committees-Please sign up to help on our parent committees. We ask that each parent commit to at least 6 hours of volunteer time. There are lots of ways to help! It’s an investment in your child’s experience at CSCT. this is where you will find important information, links to the music, parent committee sign ups, online calendar, email sign up etc…. 5. Tickets-Each cast and crew member is entitled to 4 ticket redemptions at a value of $12 each. The coupon code is C-531 ( Opening night is 5/31, if that helps you remember.) Use this code and you will receive $12 off of your purchase. You may use this code up to 4 times per child enrolled in either cast or crew. This coupon is not applicable to opening night or closing day performances. The code will not expire until after the final production and can be used anytime starting now. Costume and Make up info will be updated periodically, please refer back to this page as we get closer to tech. week and opening night! All cast members should come to each performance wearing underclothes. They should be able to easily change in and out of their costume with out needing a private changing area. Both the "Boy's" and "Girl's" green rooms are open for all cast members and are not considered to be off limits to anyone. Costumes-We rent the bulk of our costumes form Jr. Theater and CYT (Christian Youth Theater). During performances and tech. week-each child should come dressed in underclothes they can comfortably change in and out of costume in front of others. Shoes-for all rehearsals, cast and crew MUST wear close-toed shoes. For the performance, each child needs to have close toed, all black, soft sole shoes. Jazz and ballet shoes are preferred, however some groups may wear alternate options that fit their characters. *Make-up should be, eyeliner, mascara, blush and lipstick. 7. Rehearsal Attendance-Please make CSCT a priority and commitment! To ensure a quality production, it is imperative that your child attend EVERY rehearsal they are called for no matter the size of their part. Working as a collaborative unit is what strengthens the cast as a whole and provides a higher level production, please support CSCT in instilling those values and work ethic. Be sure to read the rehearsal schedule carefully to ensure you know when your child is called. This can be a challenging time of year in terms of sickness and extra curricular school activities (band/choral concerts, sports etc…) Let your child’s teacher know that they have committed to the dates provide in the the rehearsal calendar this week. With advance notice, they should be willing to accommodate you. Sickness-There are a lot of sniffles throughout the year….but this is NOT a reason to miss rehearsal. Unless your child is running a fever, vomiting or can't stand up straight, I expect them to attend. 8. Zero tolerance for physical aggression. 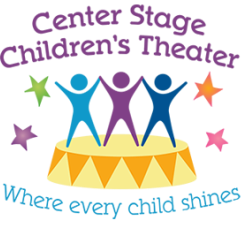 Any child that acts violently with physical aggression toward another child or staff member will not be allowed to participate in a CSCT production. Refunds will not be given in this circumstance. 9. School Day Performances: Thursday June 6th-You can download and “Excuse Letter” on info page. All Schools welcome to attend. 11. CREW: Crew should always come ready to get dirty. Wear cloths and shoes that can get paint on them (don’t wear your nice clothes). 12. CSCT is a zero device zone. No cell phones, iPads etc…all devices must be put away and turned off once you enter the door at CSCT. Please do not bring these devices to tech. week and performances. CSCT is not responsible for any lost or stolen items, please leave all valuables at home.